Hey guys/gals I’ve been a little lax on posting lately, what with life and family duties and such but I HAVE been keeping up with MGS news as of late and have been formulating my own analysis on the latest trailer. I’ll have my own take on the current events of MGSV soon enough. 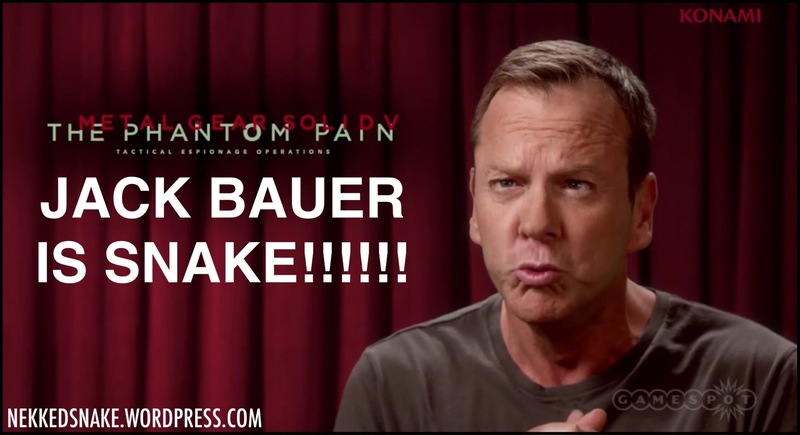 Till then, if you haven’t seen it yet then you can watch Jack Bauer impersonate a primate in the clip below of the Konami Pre E3 show. Here are a couple of examples of how Bauer can pull off being Big Boss. And might I add he can sell the hell outta some rations. ← We’ve got a new Reasonably Priced Car!